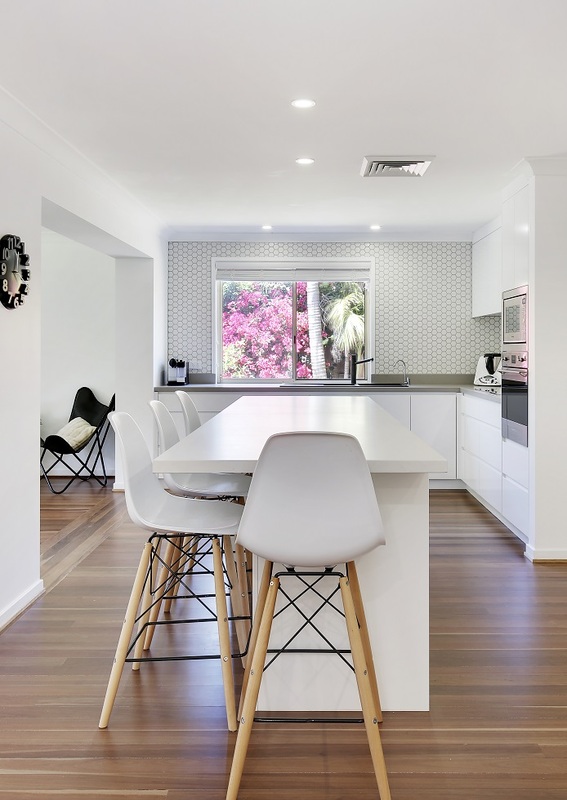 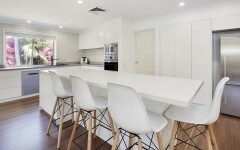 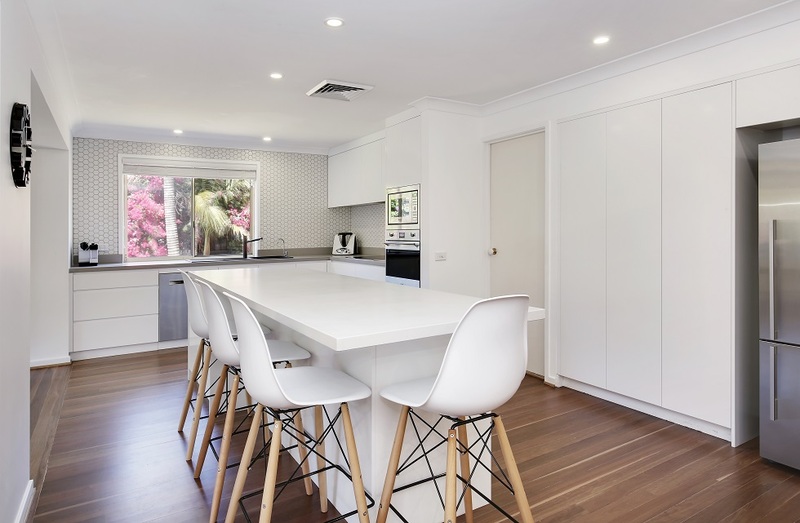 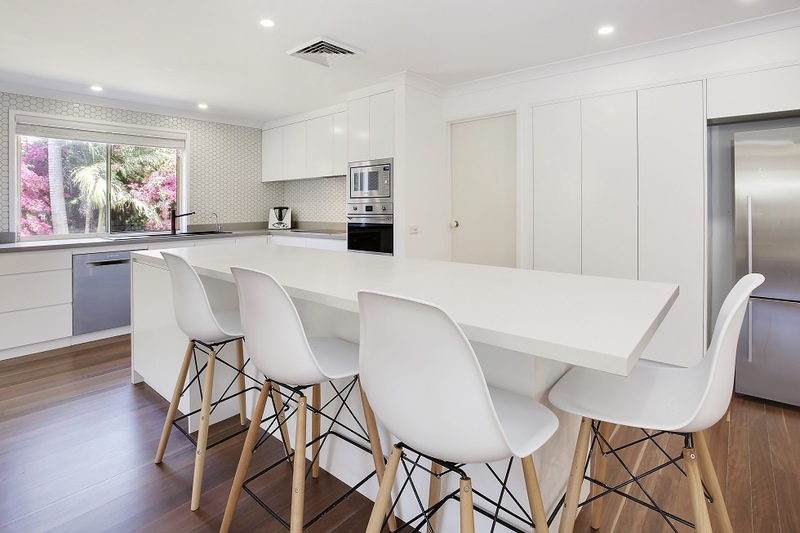 New Kitchen design and installation at Collaroy on Sydney’s Northern Beaches. 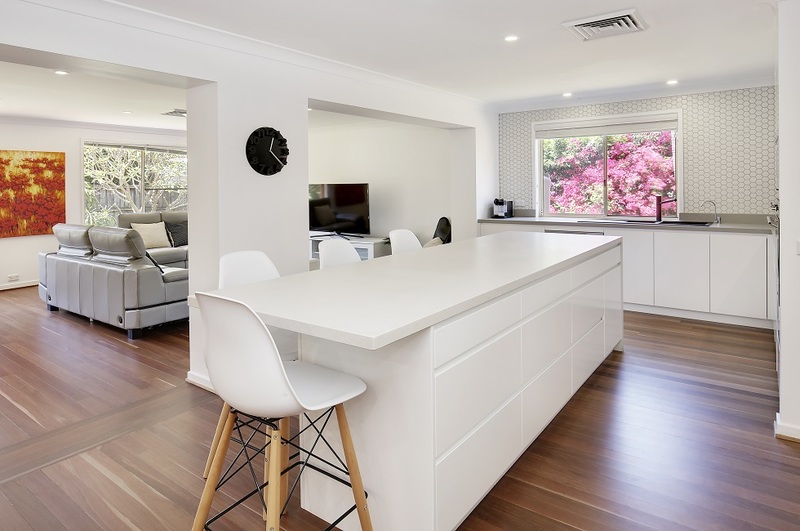 Complete renovation with removal of wall between kitchen and lounge room. 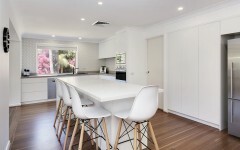 Kitchen with no handles shadow line detail. Caesar stone Fresh Concrete on island with Caesar Stone Sleek Concrete on sink and cook top bench.